Working in the Dutch, Belgium and German market, Eco-Logisch has started distributing Ecoflap and is actively supporting it along with contributing local language market translations and local market knowledge and intelligence. Eco-Logisch is focused on providing ecologically and environmentally responsible products to busineses who understand their importance but still manage to do so without compromising on service and quality, yet deliver them at a competitive price. We look forward to a successful partnership and to warmer and quieter times for many more letterboxes in the homes and businesses of our European neighbours. See here our new ad out 14th April 2012 as part of our drive to help keep the nation free from draughts and needless noise! 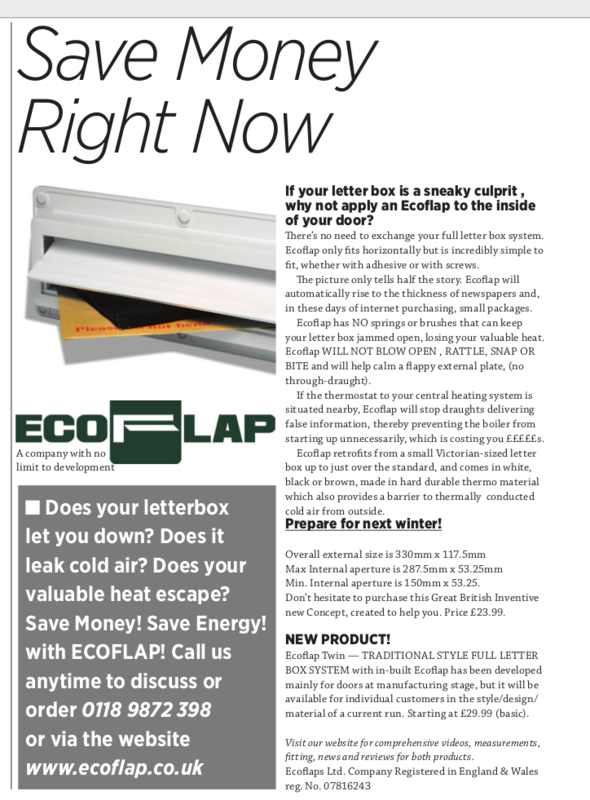 One recent Ecoflap good news story that has come to light is that of a certain Close, that we won’t name as they don’t want publicity. One avant garde resident bought an Ecoflap and fitted it to their door. So pleased with the draught free, noiseless result were they, that they passed on the good news to their neighbours. They in turn each bought their own Ecoflap and passed on the good news further. Soon the entire Close had been fitted with Ecoflaps and to help complete the process, Richard Jessel, the Inventor of Ecoflap along with help from Mike Munday turned up to help install the last ones. We think this is the first 100% Ecoflap Close. 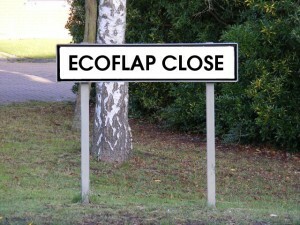 If you know better or you have an Ecoflap Street, let us know and you could win £100 to your chosen charity. The Daily Mirror’s Fiona Duffy & Nigel Berman play draughts! 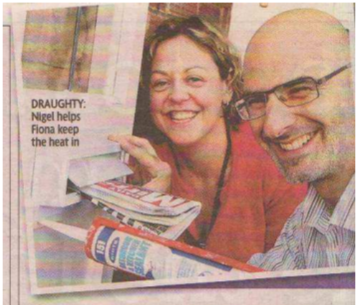 October 7, 2011 / admin / Comments Off on The Daily Mirror’s Fiona Duffy & Nigel Berman play draughts! We have all enjoyed the red-hot weather in September and October 2011 but the coming winter is predicated to be super cold. Saving energy and keeping warm on a budget, even in an older house, are part of Nigel’s mission to keep us all safe from the coming freeze. Ecoflap working well to keep Fiona warm! 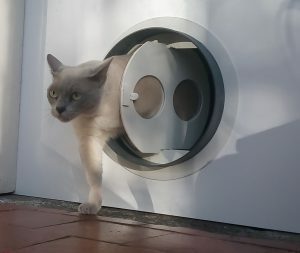 First off he attacks the big hole in Fiona’s house, the letterbox, and as expected he fits the best solution around our Ecoflap. The result? Instantly the house feels warmer! Next he worked on improving the effectiveness of radiators using low power fans and heat reflectors. Following that using a simple double glazing film and a hair dryer he produces near invisible extra draught protection for old windows. Eventually tracking down remaining draughts around doors and stopping them with excluders to seal around them. Ending the attack on draughts with wooden floor board gap filler to discreetly seal them too. Everything, including the Ecolfap all came in at a cost of £101.84 from Nigel’s Eco Store. 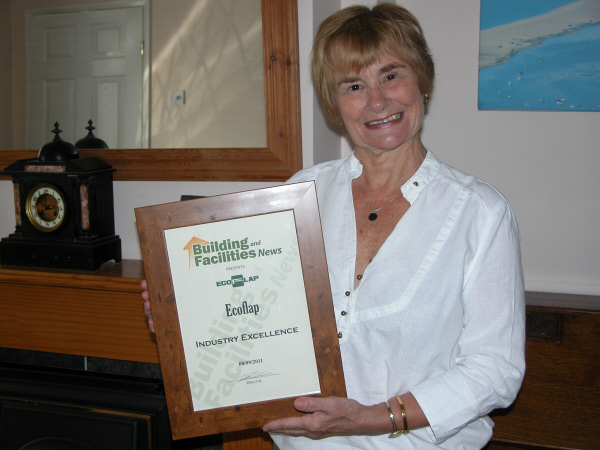 Anne Jessel (pictured) said that Ecoflap was fast becoming a well known and trusted brand. The public response at exhibitions like the National Housing Federation Exhibitions, Home Improvements Show, Grand Designs Show and Ecobuild have consistently shown that the product has a unique place in a market largely still stuck in the 1840s. Nearly all other letter plates can adversely affect thermostatic controls, directly lose heat, create noise, let in rain, trap & damage post or injure delivery personnel. Ecoflap solves these problems with innovative thought and clever design and can do so without losing the aesthetic presentation you want for your door. The next products which build on this tradition of innovation are for the other forgotton draughty hole in the wall – pet flaps. Petway, will be bringing the same level of quality and design to ensure noiseless, secure, draughtfree access for pets. 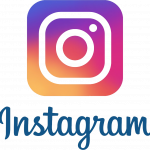 Why not subscribe to our RSS Feed and keep yourself informed of new products and information as soon as we release them.